I started out with a pretzel container. It is big, since it was purchased at Costco. 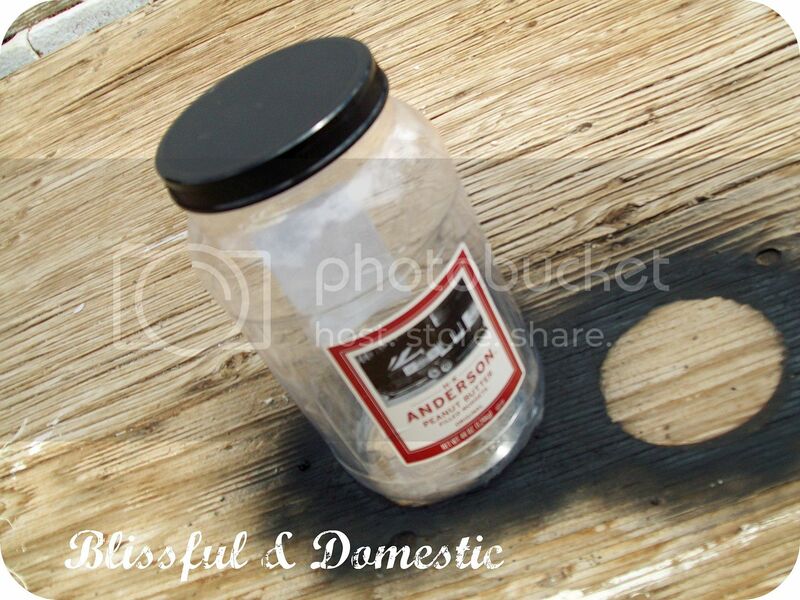 Perfect for storing yummy cookies in. I cleaned it out and taped a square around the original label. I used chalkboard spray paint and painted my label. I did this on both the front and the back. I let it dry for a few hours and then I added a fun fabric bow. 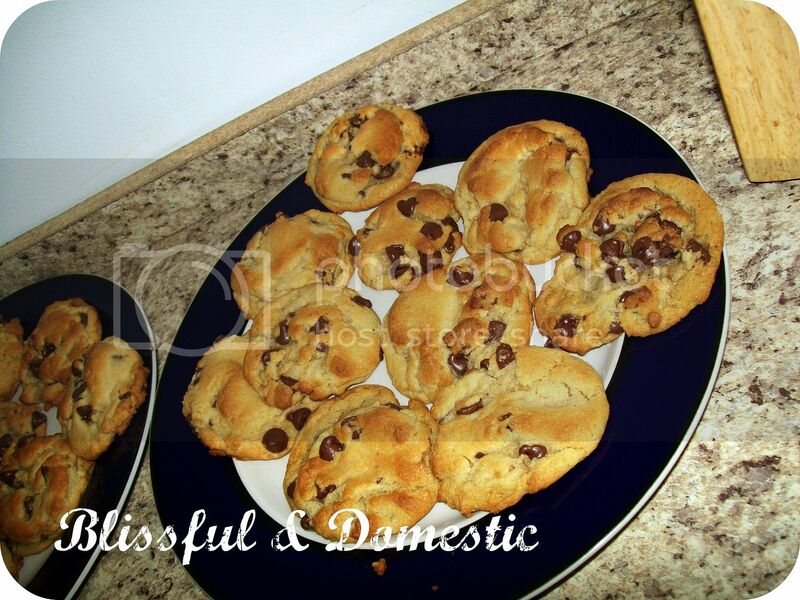 Now all you have to do is bake up some yummy cookies to fill your jar with..
Want to know the recipe for these fabulous cookies? Scroll down for the recipe:>or click HERE for more delish recipes..
Also don't forget our fun vinyl give-away this week. So cute! 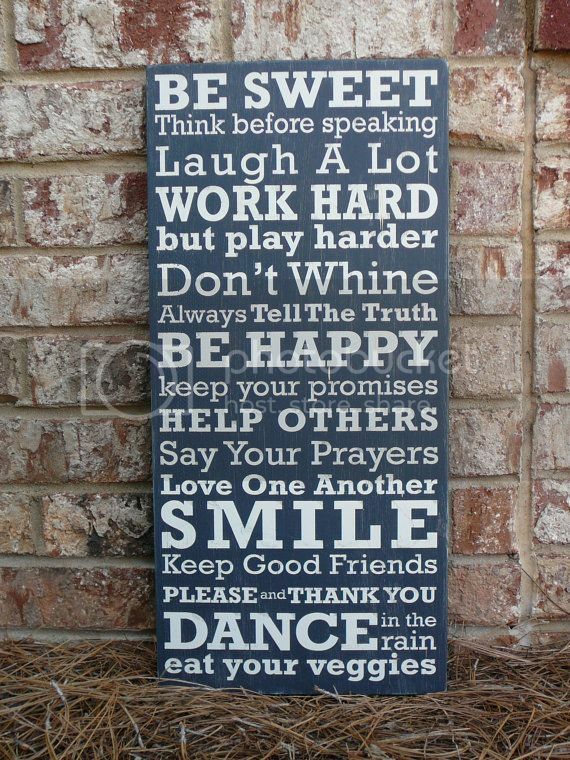 I love the chalkboard paint. Did you see my post on Sunday? I have a vase of roses a friend gave me with the chalkboard message. So cute and I love changing the message weekly. 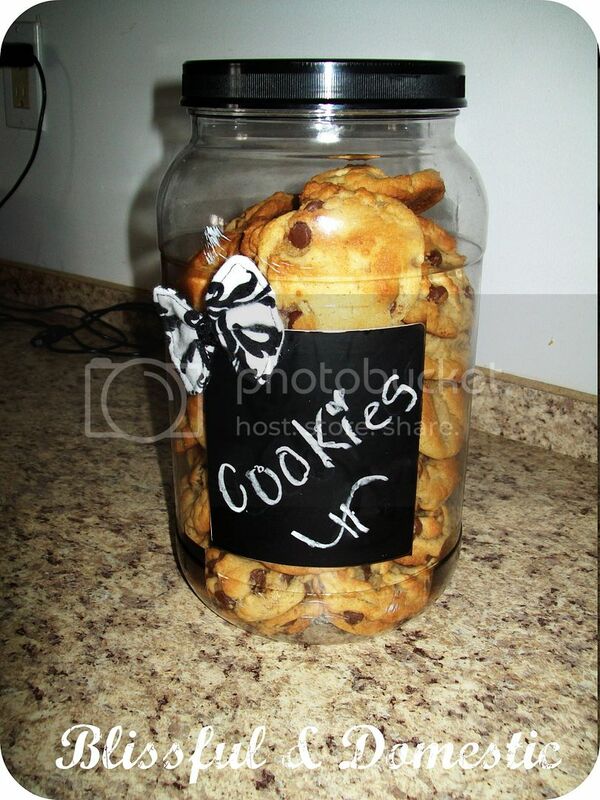 What a cute cookie jar, why haven't I thought of that? 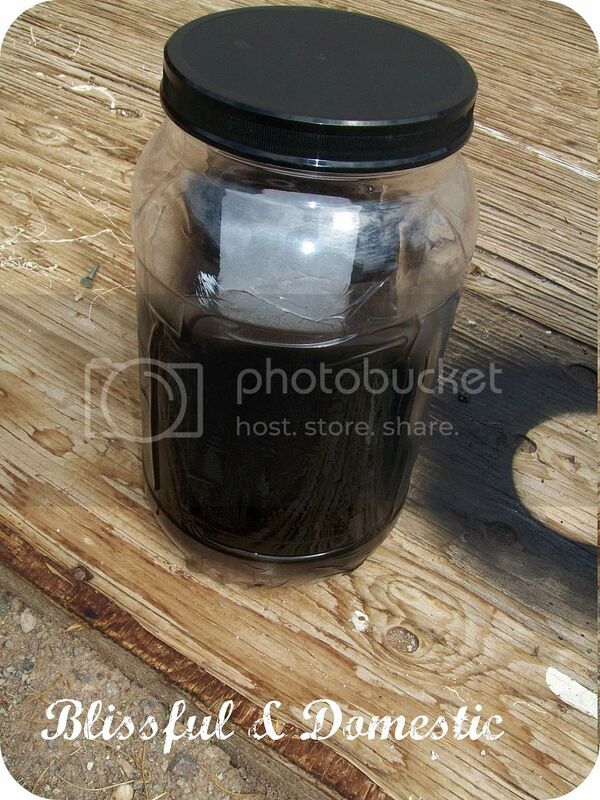 As soon as I get a large jar like that, I will make it. Very cute what a great idea! I also love the fabric bow what a nice touch! 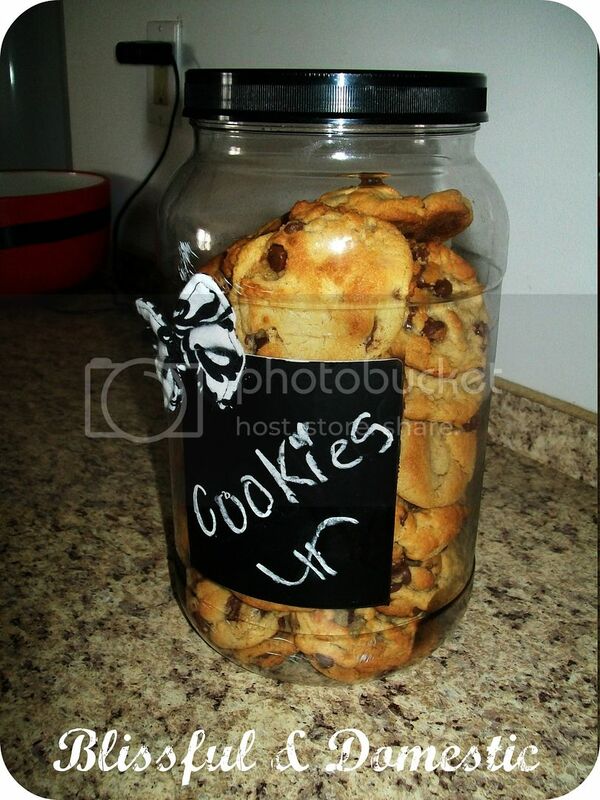 Love the cookie jar! Thank you for linking up last week at Sew Woodsy! Please come back tomorrow and link up your most recent project!